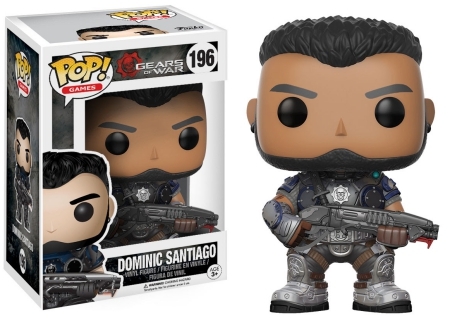 Product DetailsLooking back at one of the most popular third-person shooters of the new millennium, Funko Pop Gears of War details the video game franchise with figures from the first three games and Gears of War 4. 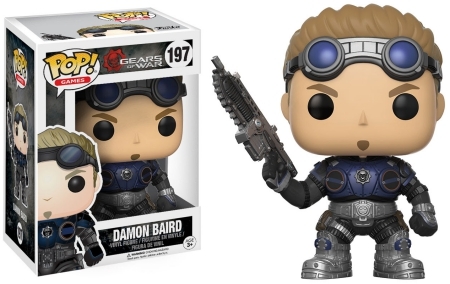 The original Gears of War video game debuted in 2006, laying down the groundwork for multiple future titles. 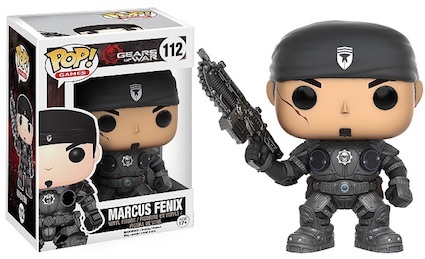 Funko Pop Gears of War is heavy on the 2016 edition (GoW4), which picks up 25 years after Gears of War 3 with JD Fenix, the son of the main figure from the first three games: Marcus Fenix. 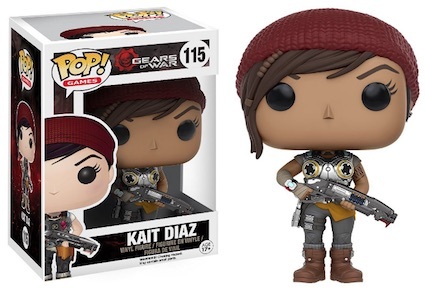 JD is also joined by Kait Diaz and Del Walker from Gears of War 4. 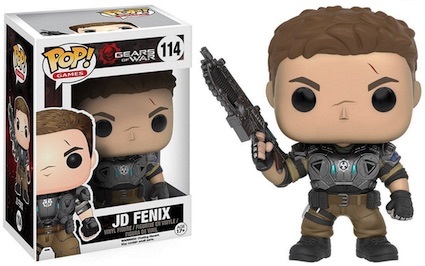 Shop for Gears of War Pop Figures on Amazon. 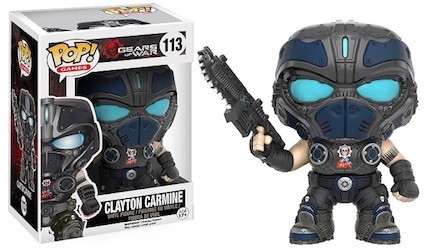 Filling out the Funko Pop Gears of War lineup are notable options from the earlier games, including Clayton Carmine and the Locust Drone. 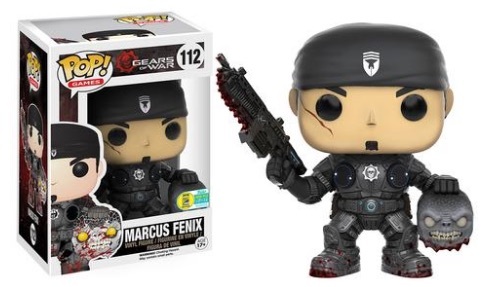 Gears of War legend Marcus Fenix has a base figure in addition to an early pair of exclusive releases at the 2016 San Diego Comic-Con. 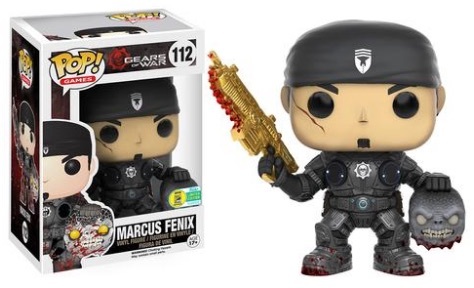 These are easy to spot as Fenix is holding a severed locust head. 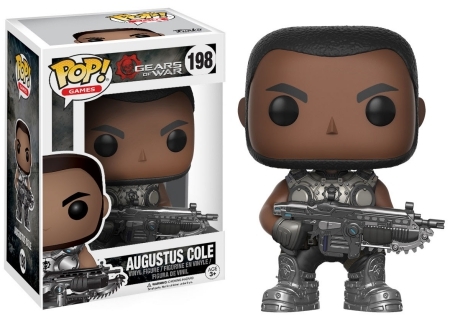 The version with the black gun is limited to 1,000 pieces and there is also a Golden Lancer variant. 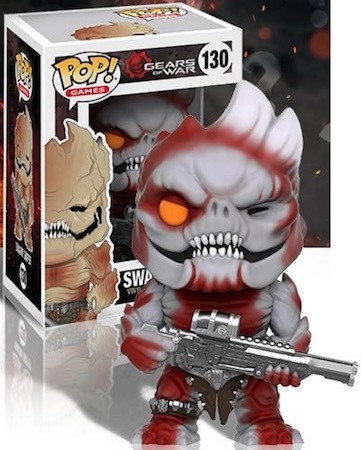 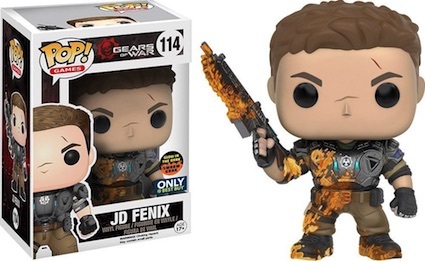 Adding to that, other Funko Pop Gears of War exclusives include a Glow-in-the-Dark Swarm Gunk variant for JD Fenix at Best Buy. 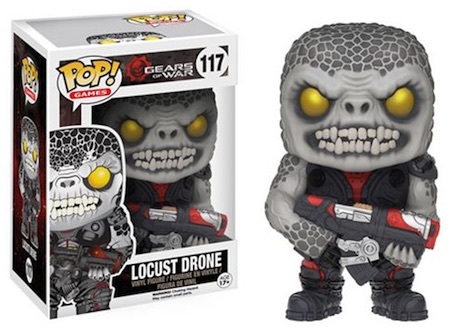 The creepy Swarm Sniper figure is only found in GameStop's Funko Mystery Box. 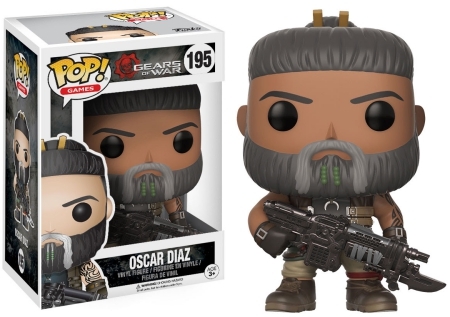 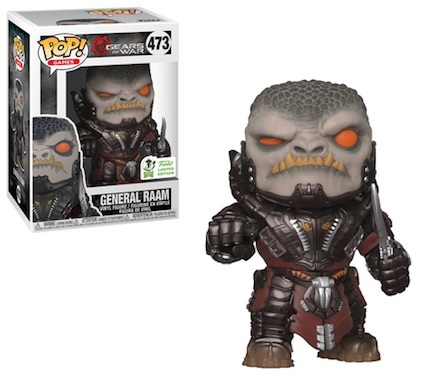 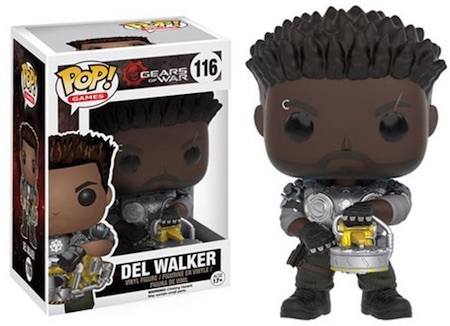 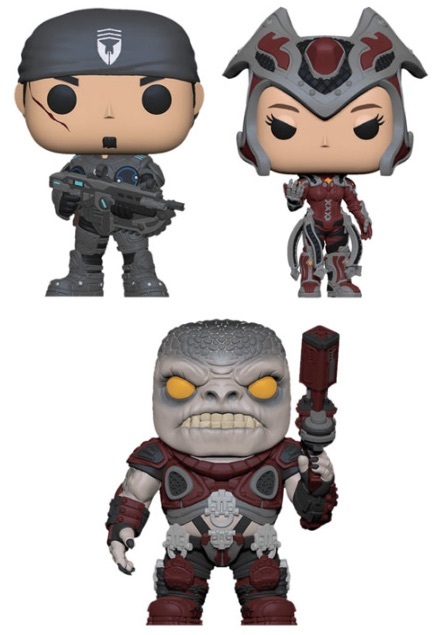 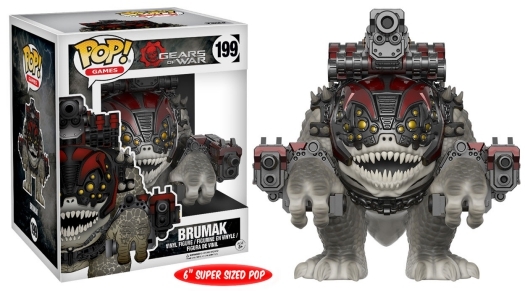 The second round of Funko Pop Gears of War figures features newcomer Oscar Diaz along with the original Gears crew–Dominic Santiago, Damon Baird, and Augustus Cole. 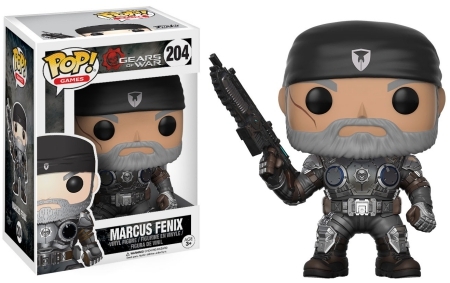 Other options include Marcus Fenix, who is affectionately referred to as 'Old Man Fenix', and a 6" Super-Sized Brumak.